Bonn, 27 April 2016 - A photo exhibition featuring great apes will open today at the Zoological Museum Alexander Koenig in Bonn. Just a century ago more than 1 million great apes used to live in Africa and Asia. However, through habitat loss, illegal hunting, disease and logging they have been reduced to a few thousands today. Dr. Johannes Refisch is Project Manager at the Great Apes Survival Partnership (GRASP), a partnership of 100 organizations, hosted by the United Nations Environment Programme (UNEP), which works for the conservation of gorillas, chimpanzees, bonobos and orangutans. An ecologist by training, Mr. Refisch has spent more than 20 years protecting and conserving primates throughout Africa. He has documented many of his research activities in photographs, which are on display in the photo exhibition "Their fate is ours" at the Museum Koenig. On Friday, 29 April, Mr. Refisch will give a lecture entitled “Great Apes - human and endangered”. CMS is supporting the event. 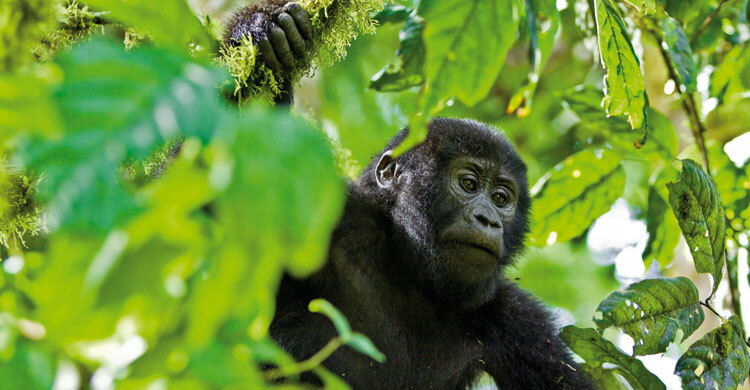 The CMS Gorilla Agreement, a legally binding instrument concluded under the Convention, serves as an intergovernmental platform to strengthen the conservation of the remaining gorillas in Africa.